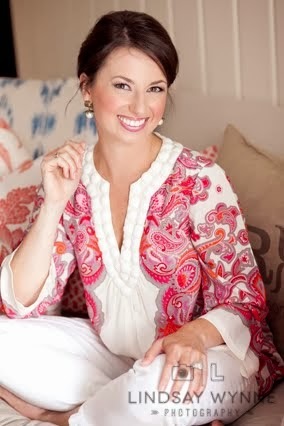 All my Southern readers, ya'll know what shagging is, right? 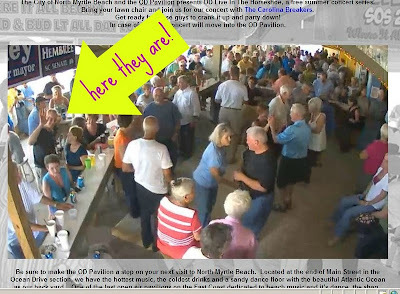 Carolina Shag is a six-count partner dance done mostly to moderate tempo music (100-150 bpm). 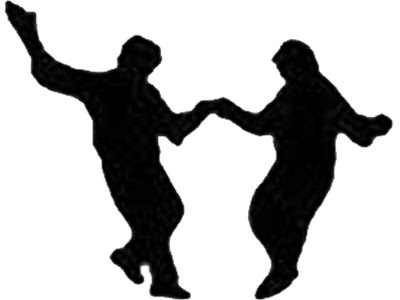 During the dance the upper body and hips hardly move as the legs do convoluted kicks and fancy footwork. The lead is the center of attention, and the follow's steps either mirror the lead's or mark time while the lead shows off with spins and other gyrations. 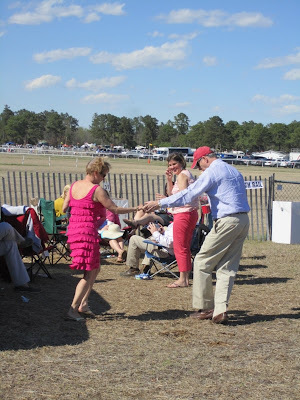 Carolina Shag is the state dance of North Carolina and South Carolina, and is still popular amongst residents of both states. 1989 brought us the movie "Shag" starring Phoebe Cates and Bridget Fonda. What?! You've never seen it?! Well then, buy it here immediately! With a synopsis like this, how could you not love it?! "Summer of 1963. Carson is getting married to her boyfriend so her friends Melaina, Pudge and Luanne take her to Myrtle Beach for one last irresponsible weekend." It is such a fun movie and I bought it for Ian and I to watch a few summers ago before we made our way down to Myrtle Beach for a 10-day long shagging festival they have called S.O.S. In 2009 we joined Mom & Dad at S.O.S. and had a really good time. The entire beach is taken over by people who just LIVE for shagging and beach music. It is definitely a unique scene. And a lot of fun! 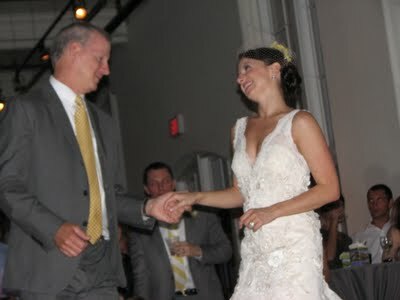 And as you may remember, Dad and I shagged for part of our father/daughter dance at my wedding. Shagging is also a big part of the trips to our favorite horse races, the Carolina Cup in Camden, SC. Well, my parents are back down at S.O.S. now, day drinking and dancing to their heart's content. So jealous. I got a text from my Dad yesterday afternoon telling me to tune in at 4:30 to a webcam that was set up at one of the beach clubs they were visiting. Can you spot them? This is like the shagging version of Where's Waldo? Give up? Okay, I'll help you out here. Yep. Those are my parents! 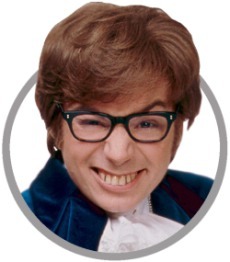 OMG I love the movie Shag! We are few and far between! Oh my goodness, this is too funny!! I have never seen that movie, but I will have to look into it now. Never had a clue about a S.O.S. festival, sounds like fun! GREAT post! 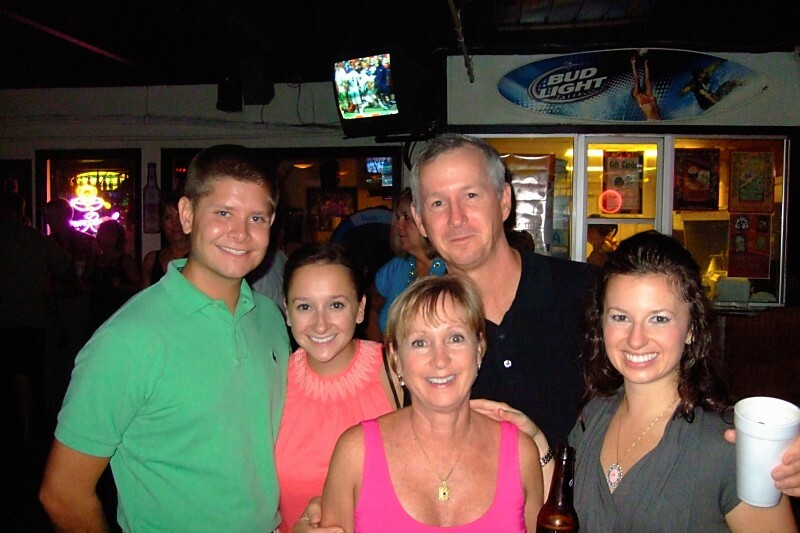 Brad's rents have gotten into shagging since moving from VA to NC. They took lessons all last year. 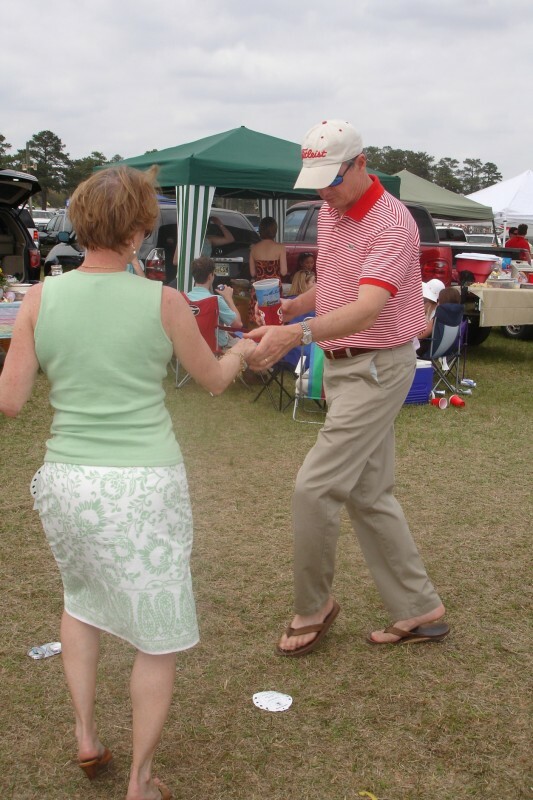 My rents just moved from GA to NC and love to dance. LOVE your daddy-daughter dance. so sweet! R's family are HUGE shaggers too! They go to S.O.S. every year as well! Jane Jacobs (the real shagger in the movie Shag) gave R and me lessons before our wedding. She's a friend of R's dad. I'm nowhere near good as I just really have two left feet, but R's a great partner and we LOVE impressing people (namely northerners) at weddings with our moves! We'll all have to go out shagging soon! Seriously your parents are the most adorable people everrrr! Kevin claims he wants to take shag lessons....we shall see! ;) It may take a few beverages for him. My mother in law is there right now too!! She never misses an S.O.S. either, she is crazy good. My dad and I shagged for our dance too, love it! So cute! Shag is one of my sister's favorite movies. I love this! My friends and I would watch Shag all the time in high school and college...what a fun time those girls had! I definitely am NO good at shagging, but the boyfriend and I have been known to pretend like we know what we're doing. Could your parents be ANY cuter? I love that they have a fun hobby that they still do and love. I don't think shagging is in my future - trust me - but I'd love to find something fun to do with my bf that got us out of the house, with a group of friends, doing something active. They seem to be great role models! GAH! I LOVE SHAGGING! 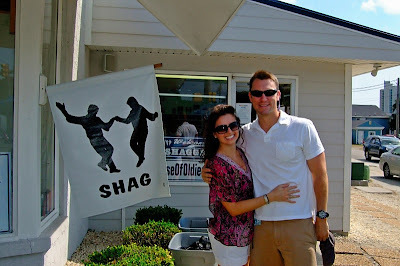 My Nannie taught me how to shag when I was really little... that and the jitterbug! Your parents are precious. LOVE, LOVE, LOVE. I want to learn how to Shag! I can't see the video! But I'm definitely intrigued by this Carolina shag you speak of. Looks like something I may need to try!